Just north of Sydney lies Catherine Hill Bay SLSC. 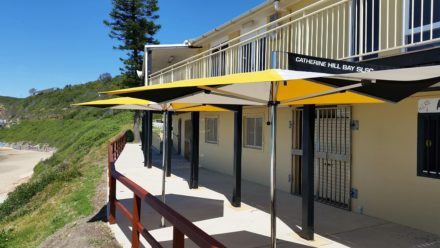 They have recently installed Custom panel & branded F-330-S Finbrella shade umbrellas anchored on Fixed camlock bases in the newly renovated terrace. 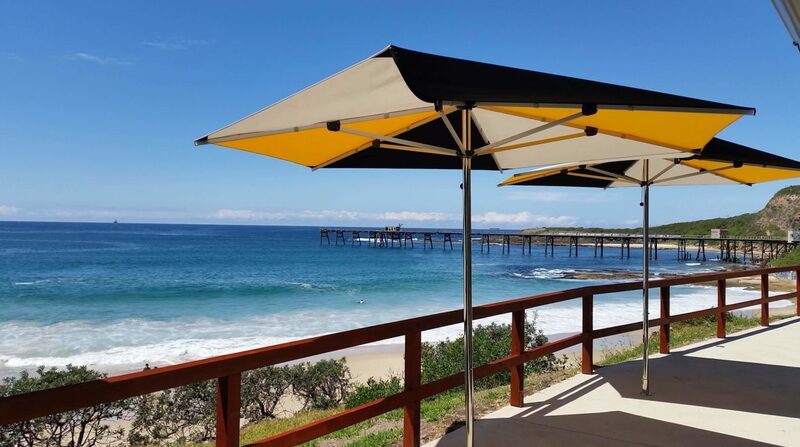 East facing and at the mercy of the strong winds coming off the pacific ocean, these wind-stable umbrellas will provide premium and lasting sun shade for many years to come. 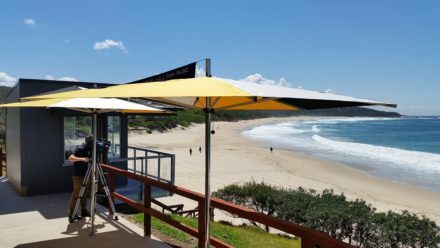 The club also decided to invest in several movable ground spikes that will allow them to take their Finbrella umbrellas down to the beach, to shade umpires, competitors and spectators. Also they will be able to take their own club branded and prominent shade umbrellas to inter club competitions and events away from the club house. Bring on the summer season and all the best for CHBSLSC!